The internet is awesome for crowd-sourcing information. Last year, I was at a BBQ and someone brought this awesome couscous salad from Whole Foods. A quick google search and voila--I found what appeared to be at least--a very close recipe to try to replicate it on my own. After enjoying this recipe a few times, I think Israeli couscous is my preference over the smaller sized couscous, only because it's got a bit more meat to it. 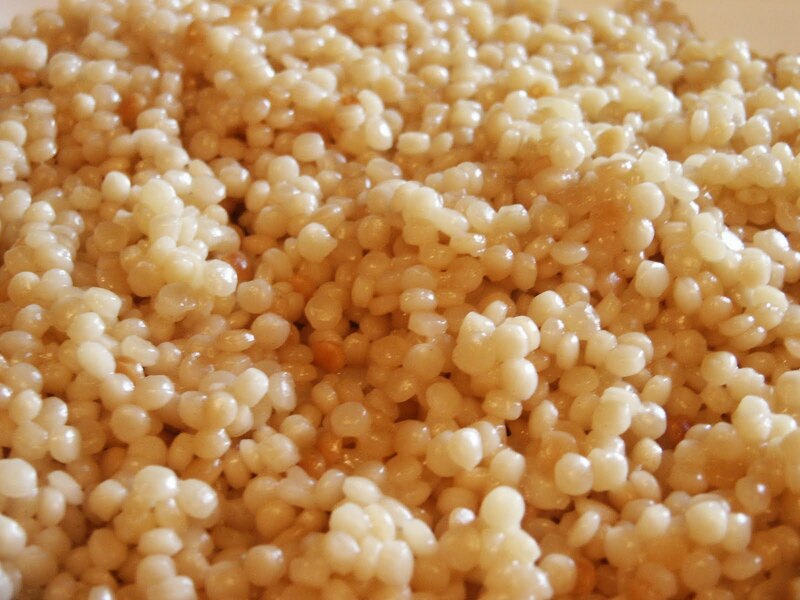 Of course, couscous in any shape is delicious. 1. 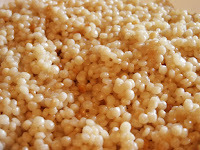 Bring a pot of salted water to a boil, and add the couscous. When it's done (roughly 8-10 mins, or when it's al dente), drain it but do not rinse. Set aside and let cool while you mince the scallions, toast and chop the pecans, and make the dressing. 2. In a small bowl, whisk together the canola oil, vinegar, orange zest and juice, spices and salt and pepper. 3. In a large bowl, combine the couscous, cranberries, pecans and scallions. Pour the well-whisked dressing over it and toss to combine. 4. Serve immediately, or chill in the fridge for a few hours to blend the flavors. Enjoy! My foodie flipboard: View my Flipboard Magazine. All content belongs to me, unless otherwise stated or credited. Simple theme. Powered by Blogger.